Chandigarh, January 20, 2019. Sh. 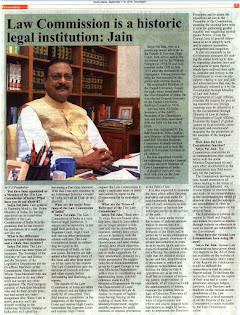 Satya Pal Jain, Ex- MP and Additional Solicitor General of India has said that Sh. Narendra Modi, the Prime Minister of India has done an excellent job as the Prime Minister of India and it is the need of the hour to bring him back as the Prime Minister for another 5 years. He said that Mr. Modi, during a short span of about 5 years, has brought India amongst the top most countries of the world and, therefore, he deserves to be repeated as the Prime Minister in the coming Lok Sabha Elections again, to enable him to make our country as one of the most powerful countries of the world. Sh. Jain was addressing a gathering of the youth in Sector 24, Chandigarh today morning, organized by Sh. Narinder Chaudhary, Convener, ‘Mission for Modi PM Again’. Hundreds of youth attended this gathering. Sh. 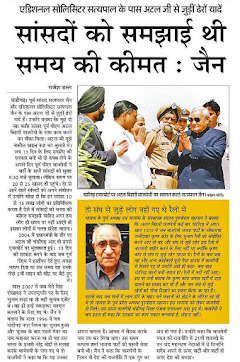 Davesh Moudgil, Ex-Mayor of Chandigarh said that Sh. Modi’s tenure as Prime Minister has been totally neat and clean. Rather, he fought relentlessly against corruption and terrorism. Sh. Narinder Chaudhary, Convener of ‘Mission for Modi PM Again’ said that his organisation will organize rallies of youth, women and other sections of society in various parts of Chandigarh, to mobilise support for Sh. Narendra Modi. He announced the formation of the youth wing of the mission, which include Sh. Bharat Sharma as President, Mrs. Gagandeep Kaur as Vice-President, Sh. Sahil Chaudhary as General Secretary, Mr. Kashish Jain as Legal Advisor of the YUVA Morcha and Sh. Subhash Sood as State General Secretary of the mission. A ll these youth leaders were honoured by Sh. Jain, Sh. Moudgil and Sh. Narinder Chaudhary by garlanding them. Among others, Mrs. Farmilla (MC), Sh. 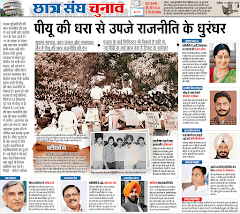 Satinder Singh Ex-MC, Mrs. Mamta Dogra, Mrs. Meena Chadda, Mr. Dharmender Sood, Mr. Rajnish, Mr. Ramesh Shastri, Mr. Ashu and Mr. Sulekh Chand Jain were also present on this occasion.